FREE SHIPPING TO THE US ONLY!! If you live outside of the US, we kindly ask that you email us at ThePsychicSpirit@aol.com before you place your order so that we may get you a shipping quote. We are happy to ship our soap internationally, and will charge you whatever the USPS (United States Postal Service) charges to ship internationally. PRE-ORDER YOUR SOAP NOW!! PRE-ORDERS WILL SHIP APRIL 15th!! FREE MINI SAMPLE BAR WITH EACH PURCHASE!! 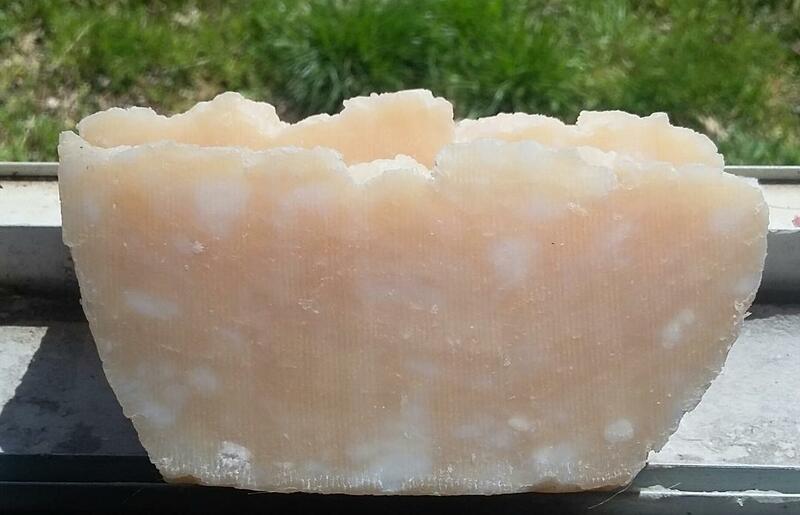 Packed full of organic coconut oil & fresh spring water, this soap bar is what started me on my soapmaking journey. 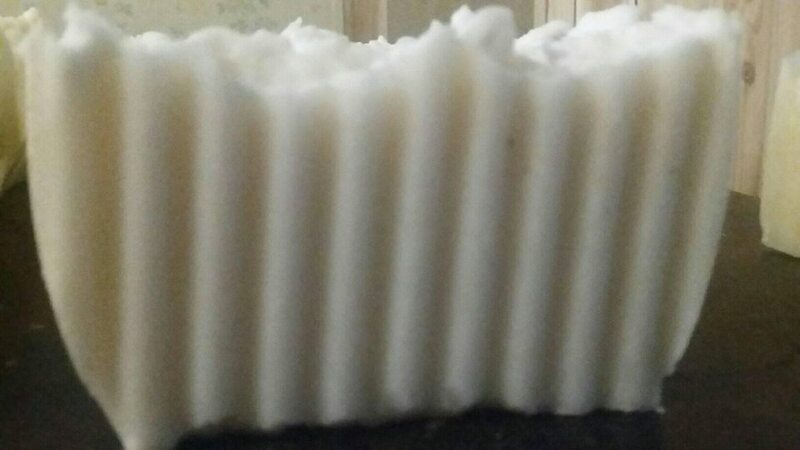 The very first time I tried coconut soap, I couldn't believe that such a small amount of this soap could lead to a full body lather in mere seconds, and that lather is pure heaven! This is everything but a basic bar of soap -- it's one of my go-to bars and personal favorites!! These bars average 4-5 ounces!! Ingredients: Coconut Oil & Fresh Spring Water. 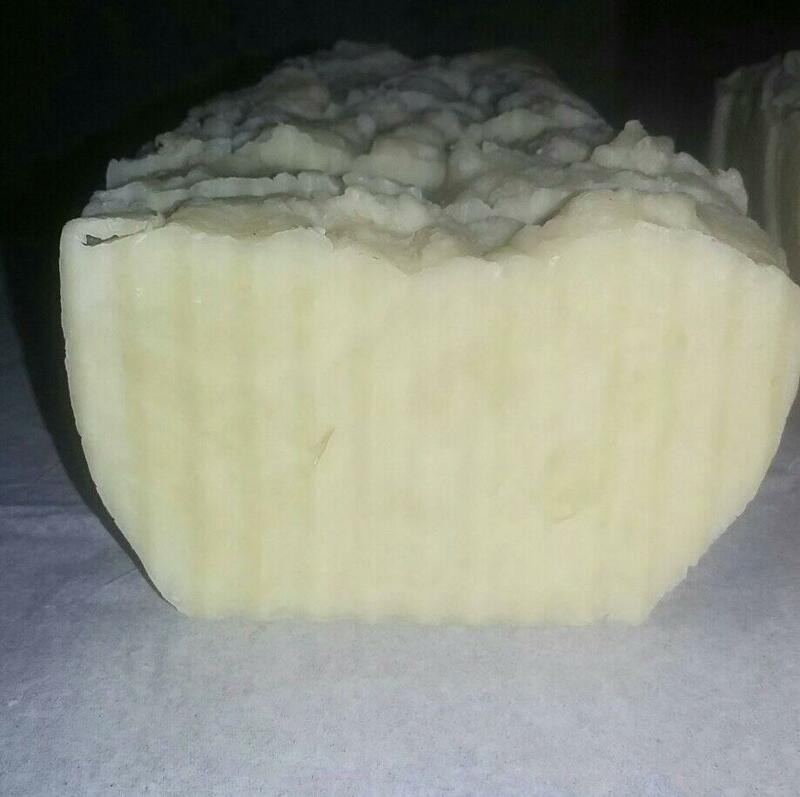 I was reminded of the soap bars my Grandfather used to enjoy, and because I love him and miss him so much, I just had to include him on this soapmaking journey. These bars provide a surreal 'feels like satin' lather and cleansers that will leave you feeling fresh & clean!! I love how these bars lather up and leave your body feeling silky smooth!! These bars average 4-5 ounces!! Ingredients: Lard & Fresh Spring Water. We took our Naked Coconut Bar and gave it the most perfect & refreshing makeover -- with added pure orange and lemon essential oils!! If you love fresh oranges and lemons, and citrusy smells, you'll surely love our Citrus Splash Bar!! Lemon oil contains powerful antioxidants and helps to reduce inflammation & helps boost energy levels. Orange oil is a healer for nourishing dry, irritated and acne-prone skin, and promotes a feeling of happiness and warmth!! My favorite bar that I use almost every morning when I start my day!! These bars average 4-5 ounces!! Ingredients: Coconut Oil, Fresh Spring Water, Pure Lemon Essential Oil, Pure Orange Essential Oil. 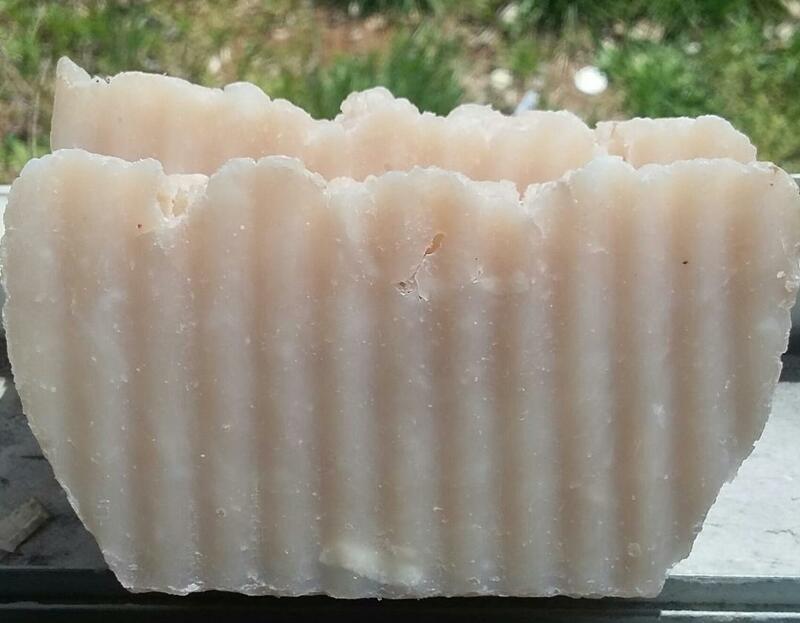 Need a wonderfully skin softening, soothing handmade soap with excellent lather? This bar is great for mental clarity and waking up in the morning! Packed full of pure spearmint, frankincense & eucalyptus essential oils, this bar will surely get you motivated to start the day and helps to wake up all your senses! Lightworkers and empaths will love this bar because of the intuitive oils within it - frankincense improves mental clarity, while the eucalyptus gives you an immediate mental lift, and the spearmint rounds these essential oils out with a sweetness that makes for a lovely bar! You won't want to get out of the shower!! These bars average 4-5 ounces. 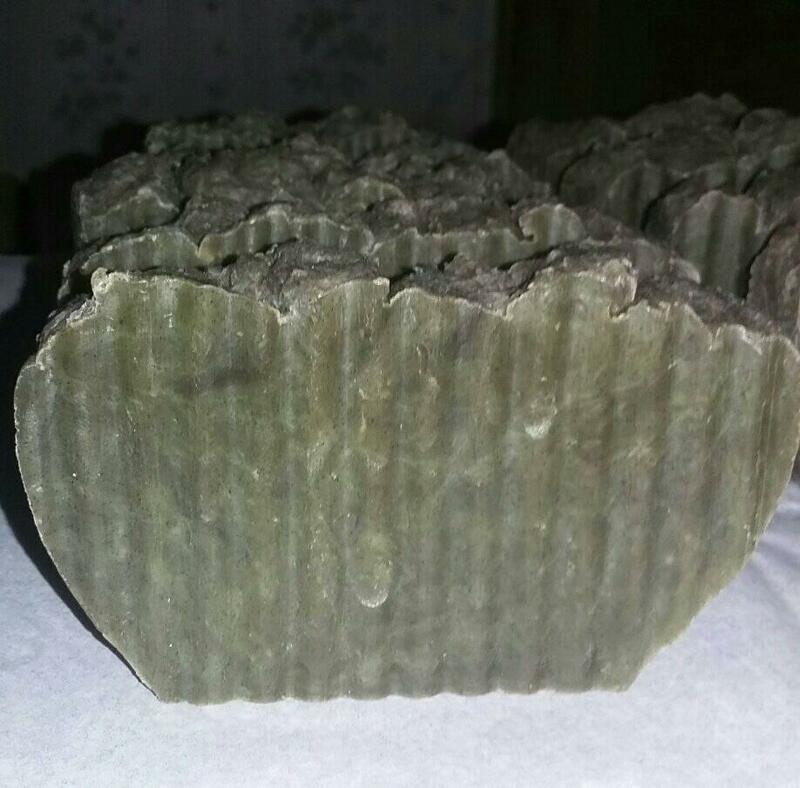 Ingredients: Coconut Oil, Olive Oil, Sweet Almond Oil, Shea Butter, Castor Oil, Water, Nettle Powder (for color), Pure Spearmint Essential Oil, Pure Frankincense Essential Oil, Pure Eucalyptus Essential Oil. A royal beauty these bars are! 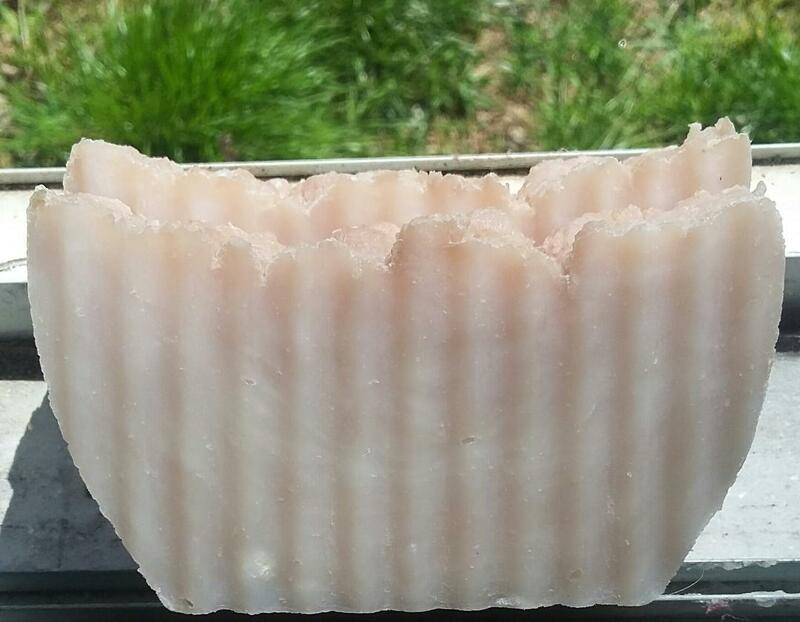 Packed full of pure lavender essential oil & raw organic lavender flowers, this will satisfy any lavender enthusiast! These bars patch some serious aromatherapy!! If you love lavender like we do, this is YOUR bar! 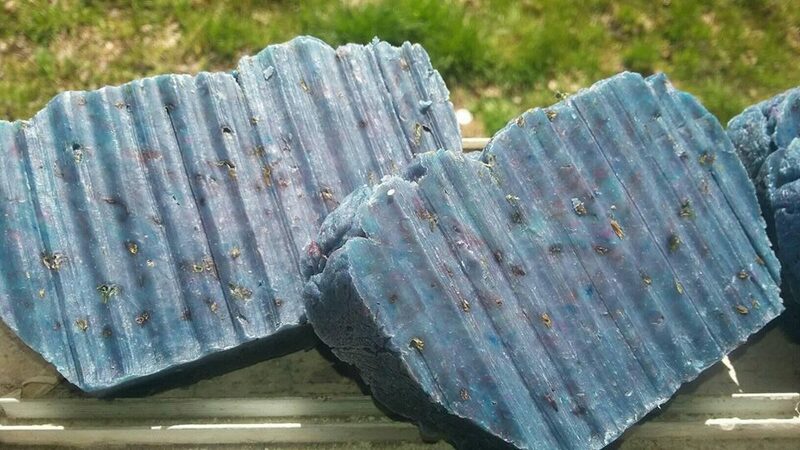 Lavender is sometimes used as a home remedy for skin inflammation and burns, and the essential oils in this bar will help with scalp inflammation and dryness. A recent study in 2012 showed that essential lavender oil used on skin inflammations with great success, as it reduced inflammation and sped up the healing process! These bars average 4-5 ounces. Ingredients: Coconut Oil, Olive Oil, Sweet Almond Oil, Shea Butter, Castor Oil, Water, Pure Lavender Essential Oil, Raw Organic Lavender Flowers, Natural Color. 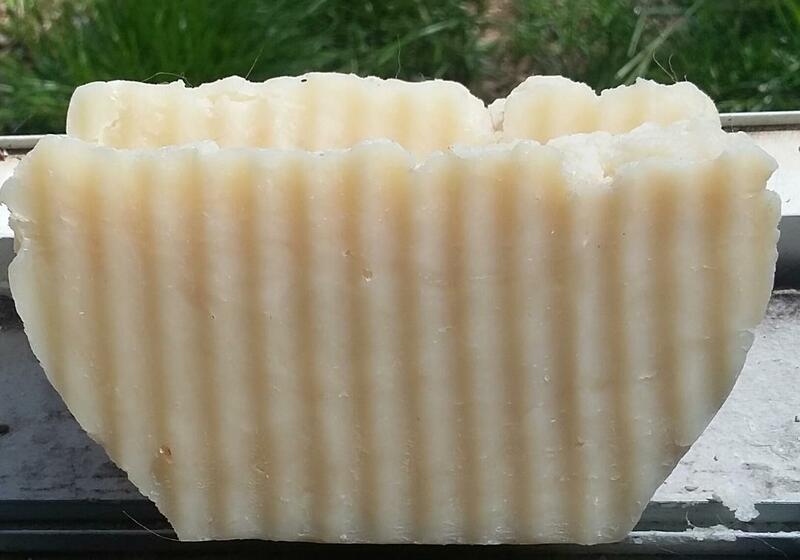 We are so proud of our hemp body bar, and we think you'll absolutely love it, too! Hemp oil has many excellent benefits, including it's effect on the skin and the hair, nourishing both on a cellular level. Hemp Oil is easily absorbed by the skin, and contains a high amount of fatty acids which makes it an important ingredient to help those with anti-inflammatory issues. Hemp oil helps to heals skin lesions, balance dry skin & fight skin inflammations, has a tremendously powerful moisturizing compound with excellent anti-aging & moisture balancing properties! These bars average 4-5 ounces!! Ingredients: Hemp Oil, Coconut Oil, Olive Oil, Palm Oil, Water. 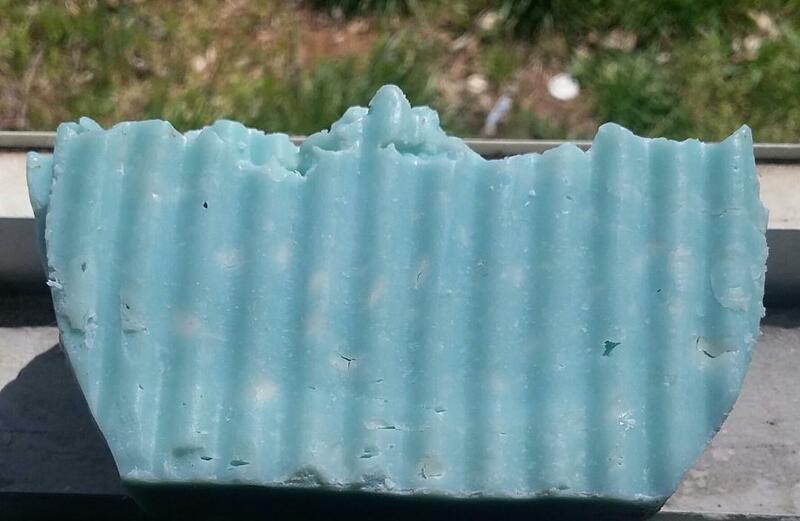 This bar is a great smelling & moisturizing bar as it's crammed full of delicious smelling food-grade Cocoa Butter!! If you love the smell of chocolate, you'll love this bar!! Cocoa Butter is a wonderful healer of dry, sensitive skin, and will leave your body feeling silky smooth! These bars average 4-5 ounces. Ingredients: Food Grade Cocoa Butter, Soybean Oil, Olive Oil, Coconut Oil, Palm Oil, Water. We took our Naked Coconut Bar and gave it yet another makeover, and we really love this version!! 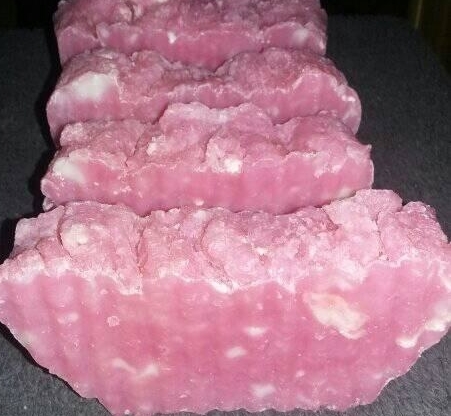 We've added pure vanilla essential oils with ultra premium cherry fragrance oils to bring you another one of my very favorite smelling bars!! I love how the fresh cherry scent really compliments the vanilla and gives you a great scent-filled lather and bathing experience, and we think you'll agree with us! These bars average 4-5 ounces. Ingredients: Coconut Oil, Water, Pure Vanilla Essential Oil, Ultra Premium Cherry Fragrance Oils. 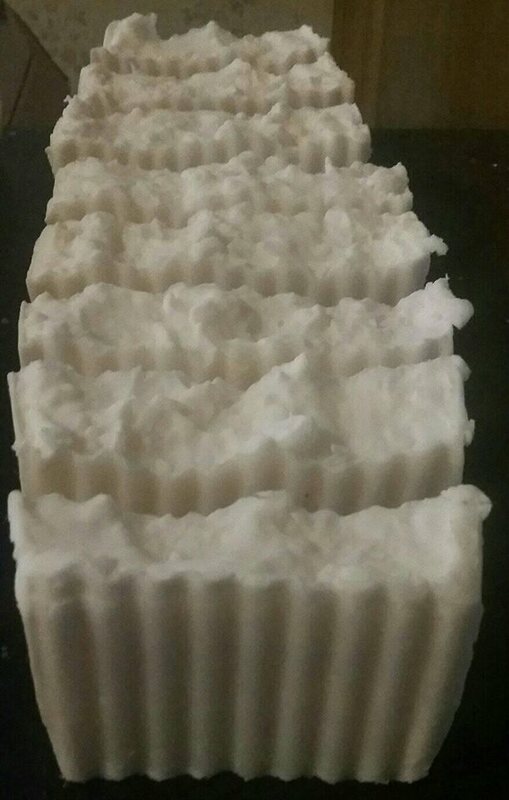 Yet another incarnation of our Naked Coconut Bar, this time with lots of wonderful smelling pure vanilla essential oil which helps to provide antioxidant and aphrodisiac benefits while giving you a tranquilizing, relaxing bathing experience. These bars will leave you feeling clean & fresh! These bars average 4-5 ounces!! Ingredients: Coconut Oil, Water, Pure Vanilla Essential Oil. 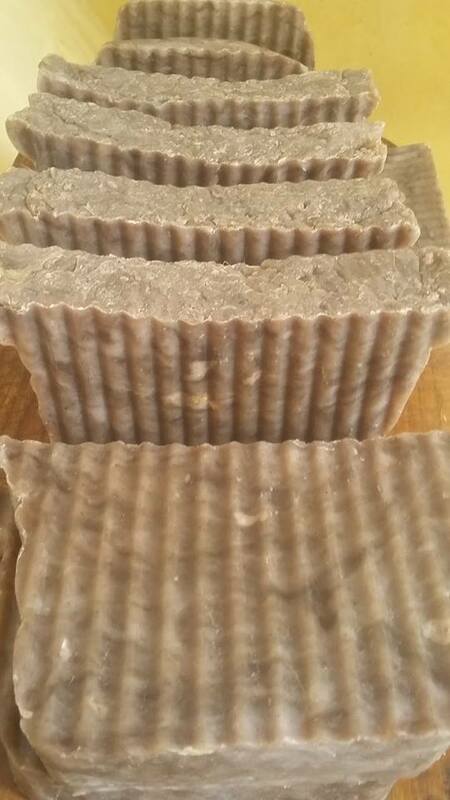 We've taken our Naked Coconut Bar and mixed in some truly inspiring pure Sandalwood essential oil. Sandalwood oil has so many benefits, including it's ability to encourage mental clarity and relaxation, and can also be used to help with acne, eczema, psoriasis, and anti-inflammatory issues. I love using this bar when I take my evening shower before I go to bed, it really relaxes me and helps me unwind after a long, busy day. These bars average 4-5 ounces!! Ingredients: Coconut Oil, Water, Pure Sandalwood Essential Oil, Natural Color. 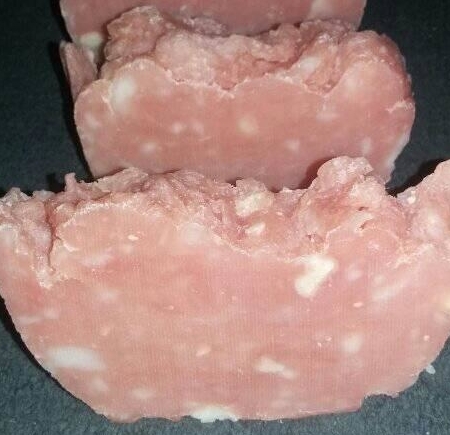 Our Naked Coconut Bar mixed with ultra premium strawberry fragrance oils! This reminds me of growing up in Florida, and attending the Florida Strawberry Festival in Plant City, Fla almost every year for 20+ years. The smell of fresh strawberries is such a peaceful and beautiful experience, and I find this bar to help motivate me and uplift me, if I"m feeling down or a bit emotional. These bars average 4-5 ounces!! Ingredients: Coconut Oil, Water, Ultra Premium Strawberry fragrance oils, Natural Color. 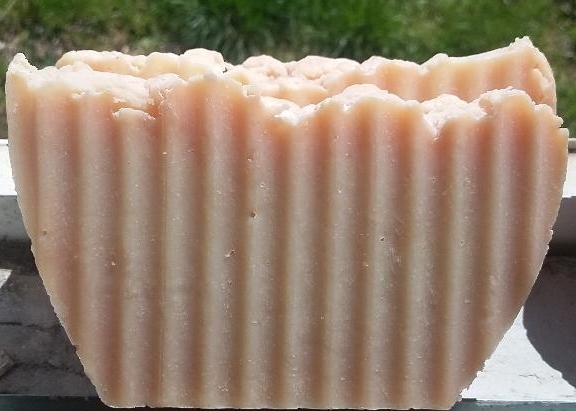 We've taken our Naked Coconut Bar and added some natural pink color and some truly invigorating Honeysuckle ultra premium fragrance oils to give you a wonderful aromatic bathing experience! The smell of sweet honeysuckle is a great way to start the day, and you'll find yourself uplifted after using it! These bars average 4-5 ounces!! Ingredients: Coconut Oil, Water, Ultra Premium Honeysuckle Fragrance oils, Natural Color. We've taken our Naked Good Ole Fashioned Bar and given it a new lease on life!! We've added natural blue color, and some pretty amazing clean & fresh smelling ultra premium fragrance oils!! This is another one of my favorites, as I love the clean smell and the silky lather this bar gives!! This is another one of my go-to bars in the morning!! These bars average 4-5 ounces!! Ingredients: Water, Lard, Ultra Premium Fragrance Oils. One of our biggest bars -- averaging in at 6-7 ounces each -- these will be a quick favorite! Packed full of cocoa butter, shea butter & pure vanilla essential oil, and as the name of the bar suggests, we believe these bars to be truly heavenly as they are full of conditioning and moisturizing elements that your body will thank you for, not to mention the positively wonderful scent of fresh vanilla that will make you want to call-in sick for work and stay in the shower all day!! 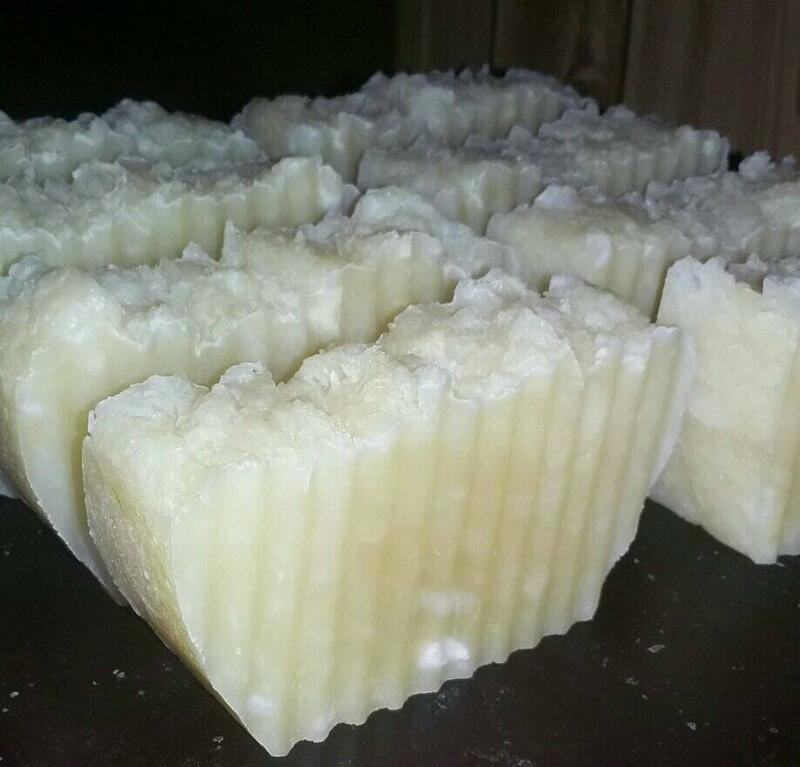 Ingredients: Coconut Oil, Olive Oil, Castor Oil, Cocoa Butter, Shea Butter, Lard, Water, Pure Vanilla Essential Oil. This bar holds some real power! We've used pure patchouli essential oil which has long been used in traditional Asian medicine, especially in Malaysia, China & Japan, to help with dermatitis, eczema, acne, dry chapped skin & oily scalp. It also has wound healing & scar reducing properties & some aphrodisiac effects. I love this bar, as it makes me feel grounded, powerful and centered. We think this will quickly became a favorite! These bars average 4-5 ounces!! 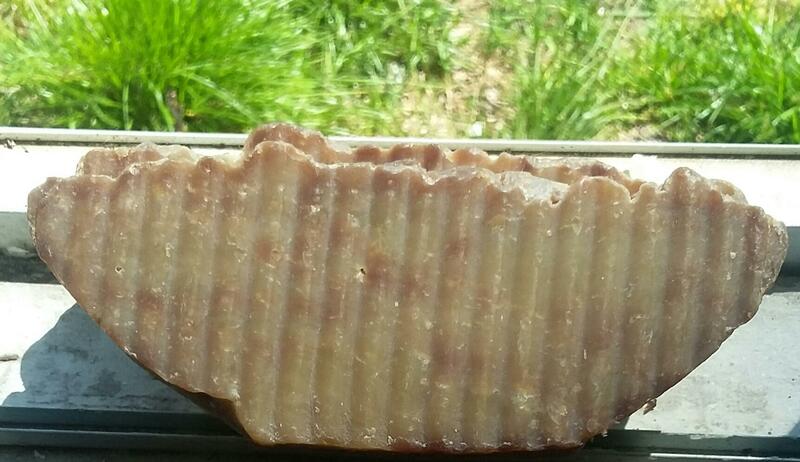 Ingredients: Coconut Oil, Olive Oil, Sweet Almond Oil, Shea Butter, Water, Natural Color, Pure Patchouli Essential Oil. This bar is really popular among fisherman, campers, hikers & wildlife enthusiasts alike! 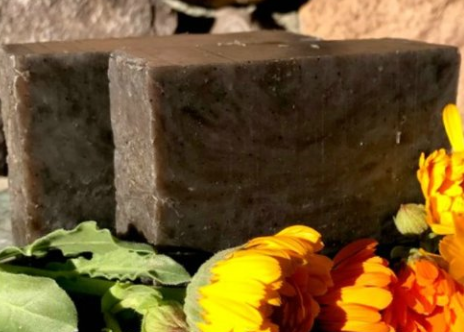 This soap smells great -- just like black licorice and will mask human scents with the pure Anise essential oils within the bars!! Take a shower with this soap before going fishing, and bring home a big catch! Anise essential oil has a plethora of wonderful health benefits and helps to keep your skin healthy and lustrous, and can provide relief from spots, acne & damaged skin. These bars average 4-5 ounces!! Ingredients: Coconut Oil, Olive Oil, Soybean Oil, Palm Oil, Water, Anise Essential Oil. Having a hard time getting the kids excited about bath time? We hear you, and we got you covered! Try our BubbleGum Kids Soap mini bars that makes bath time fun, and kids love it! These bars make a great lather, they smell wonderful, super colorful and our kiddie testers so far have all reported back glowing reviews of these bars, in fact, the adults have enjoyed these just as much as the kids have!!! Try them for your kiddos, you'll be glad you did!! Ingredients: Coconut Oil, Olive Oil, Jojoba Oil, Water, Vegetable Shortening, Bubblegum Ultra Premium Fragrance Oils, Natural Color. Gift Certificates are not valid for soap orders. No discounts of kind will be accepted on soap orders.